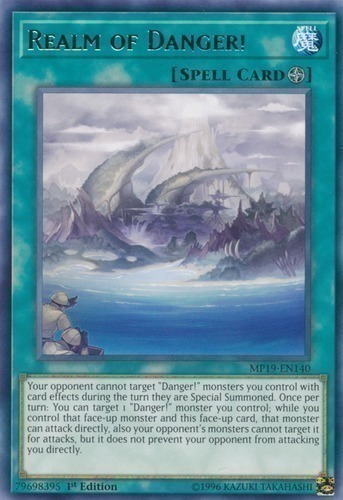 Your opponent cannot target "Danger!" monsters you control with card effects during the turn they are Special Summoned. Once per turn: You can target 1 "Danger!" monster you control; while you control that face-up monster and this face-up card, that monster can attack directly, also your opponent's monsters cannot target it for attacks, but it does not prevent your opponent from attacking you directly.